Why do you think Sweethearts are such a popular Valentine's Day treat? Besides Sweethearts, what is your favorite Valentine's Day tradition? Why? 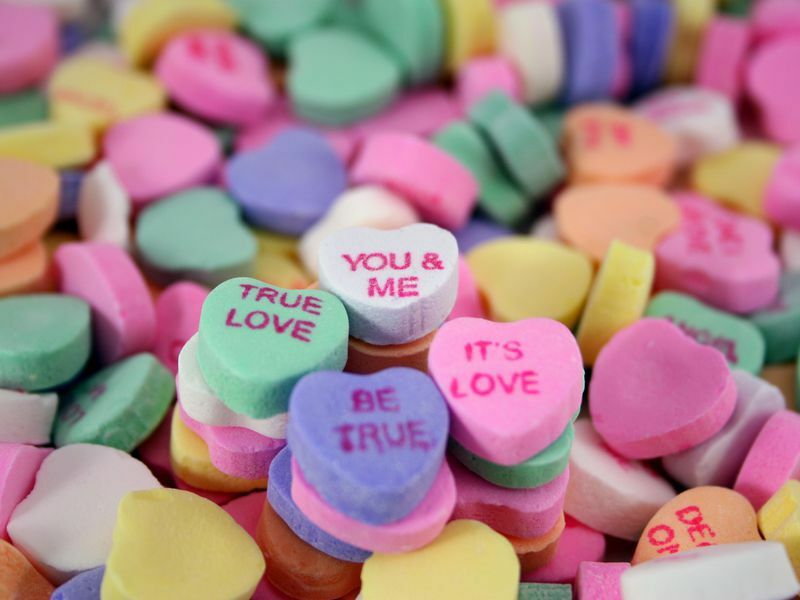 According to the article the messages on Sweethearts candies change with the times. What new messages do you think the hearts should feature when they return to the market? With Sweethearts off the market for 2019, do you think people will embrace a new Valentine's Day tradition that will replace the sweet treats in the future? Or do you think Sweethearts will be back stronger than ever when they return? Why? The concept of love has inspired many artists to write songs, whether about new-found love or heartbreak. Invite students to explore this Smithsonian Folkways collection to hear a sampling of love-themed folksongs from around the world. Love Valentine’s Day? Love Science? Then we have you covered! Check out the Smithsonian Science Education Center’s Valentine’s Day Science Pinterest board for an assortment of Valentine’s Day themed science activities, experiments, jokes, cards and more. The heart is an age-old symbol associated with the Valentine’s Day holiday. At the Smithsonian, we love art and design! Explore this Smithsonian site to see how hearts have been incorporated into design throughout our collections. Read this Smithsonian magazine article to trace the lovers, the leaders and the ladies responsible for the pairing of chocolate to Valentine’s Day. In this video from the Smithsonian American Art Museum and its Renwick Gallery, Public Programs Coordinator Gloria Kenyon demonstrates how to create Valentine’s cards. It’s Valentine’s Day and we sure do love history. On this day of cards, flowers and chocolate explore this National Museum of American History site and take some time to celebrate stories of love and romance in the museum’s collections. As a celebration of 38 years of marriage, the former president shared his memories, both fond and bittersweet, from each anniversary. Read this Smithsonian magazine article to read what he had to say. Use this activity from the Cooper-Hewitt, Smithsonian Design Museum to help elementary and middle school students examine how certain items can link family and friends together in unique and interesting ways.